Over the past 40 years I have loved spending time with our dance community. We have supported each other during tough times and good times. Your laughter and energy and your friendship has sustained us and will continue to do so. As I think of our sport I know we’re not perfect, but we embody many of the attributes Davis refers to. Your willingness to persevere and the strength of our friendships combine to create a legacy that has brought DanceSport to a richer place. The world has evolved into a place that is connected instantly, and so leisure time is worth more to some. I see DanceSport as a wonderful opportunity to connect in person and to keep fit no matter your age or skill level. DanceSport, therefore, has a strong contribution to make to our members and people wanting to try DanceSport. We need to take our place with a strong vision – and work together to plan and deliver our future. We need to decide what we want our industry to be and work towards it. Human interaction, communication, resilience, creativity and self-confidence are all values that DanceSport delivers in its own unique way. These skills are desperately required in the world and will help guide our community to navigate a strong course. There are many new developments taking shape for 2019 and for our future beyond. 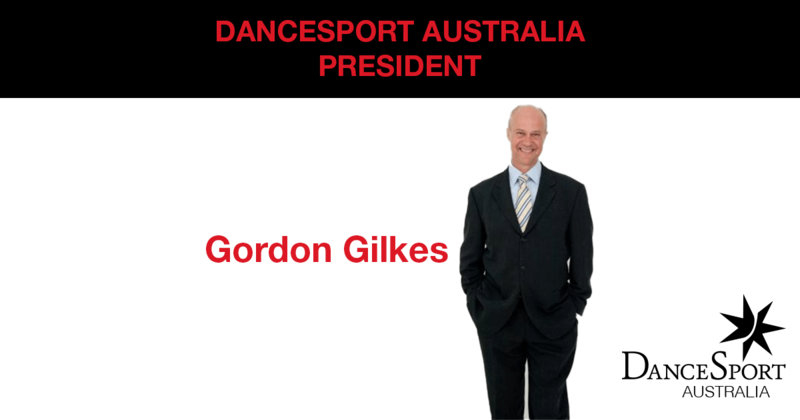 DanceSport Australia will in many ways be at the cutting edge of technology as a sporting organisation. Thank you to our great teams in each state branch, the national board, and our members and volunteers who are working hard to bring our combined efforts to fruition.